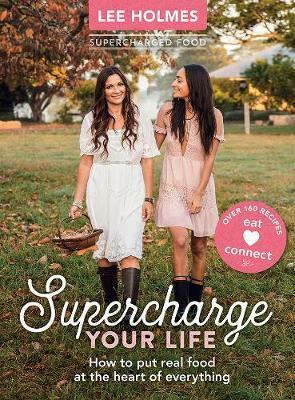 Supercharge Your Life serves up information and inspiration to help you consume with purpose. There are over 160 beautiful and nourishing recipes for every occasion from breakfast to afternoon tea, from hearty family dishes to celebration feasts. Woven throughout is Lee’s inspiring insight on the keystones for living a ‘whole’ life: home and family; health and longevity; friends and community; spirituality; finances; career and passion. At the heart of it all, there is food - a force for joy and connection in every aspect of life.